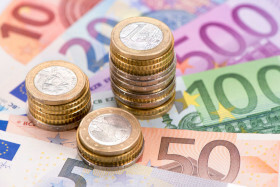 The euro today crashed against the US dollar in the early European session following the release of disappointing PMI data from across the eurozone by IHS Markit. The EUR/USD currency pair’s crash was triggered by the release of disappointing German and eurozone PMI prints, which came in at record lows painting a bleak picture for most eurozone economies. The EUR/USD currency pair today fell from a daily high of 1.1391 to a low of 1.1289 following the weak PMI releases. The currency pair opened today’s session trading with a slightly positive tone during the Asian session as part of its recovery from yesterday’s lows. However, the recovery turned into a massive drop following the release of the Markit Germany manufacturing PMI print, which came in at a 6-year low of 44.7 missing expectations by 0.3. The Markit Germany services PMI print could not stop the pair’s fall despite coming in at 54.9 beating expectations by 0.1. The Markit eurozone manufacturing PMI also missed expectations by coming in at 47.6 as compared to the consensus estimate of 49.5. The French PMI prints also came in below estimates. The currency pair tried to stage a comeback, but was still trading near its daily lows at the time of writing as the economic outlook for the eurozone remained dim. Investor sentiment towards the single currency remained neutral ahead of several releases from the US docket. The currency pair’s short-term performance is likely to be affected by the Markit US PMI prints and the US home sales report. The EUR/USD currency pair was trading at 1.1298 as at 12:20 GMT having crashed from a high of 1.1391. The EUR/JPY currency pair was trading at 124.57 having fallen from a high of 126.17.